There are very few blockbuster movies that have come out recently that made me want to bypass my Netflix Queue for an actual trip to a movie theater. When I heard that “Wall Street: Money Never Sleeps” was going to be released in late September I, must admit that I was somewhat excited to see the sequel to a movie that most all Wall Streeters and wannabe Wall Streeters had memorized word for word, whether they want to admit it or not. The infamous “Greed is Good” speech and who could forget the line from Mr. Gecko about people not knowing the difference between “Preferred Stock and Livestock”? From the very beginning of the movie, there was something very familiar and reminiscent of the original. The occasional split screen shots along with the soundtrack, which was once again done by former “Talking Heads” front man David Byrne, added a nice touch of nostalgia. These unfortunately are where the similarities would end. 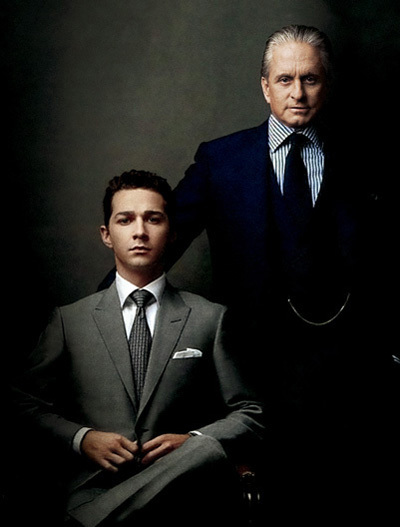 While the original Wall Street had a precise and riveting story line that made you care for or hate its characters, the sequel, which could be and should be viewed as its own stand-alone movie (if only to preserve the legacy of the original) was a messy “hodge podge” of melodrama, remorse and art imitating life. Terms like “too big to fail”, “credit default swaps” and “sub –prime” are gratuitously thrown around to make the film seem more relevant than it actually is. Even the dark clandestine scenes of banks (ala Lehman Brothers) meeting with Timothy Geithner and Henry Pulson look alikes resembled more of a CNBC “American Greed” episode than it did an Oliver Stone movie. Plot lines between Jake Moore (played by that guy from Transformers) Gordon Gecko (played by Michael Douglas) and Winnie (played by Carrie Mulligan) are off again, on again then just plain off. What I wanted to see, and what I believe the audience wanted to see was a lot more Gordon Gecko and a lot less of everyone else. Instead we got the exact opposite. A large chunk of this movie delves into the world of stocks, clean energy, derivatives and exotic investments, when all along the investment strategy on this movie is very simple, save your $9.50.